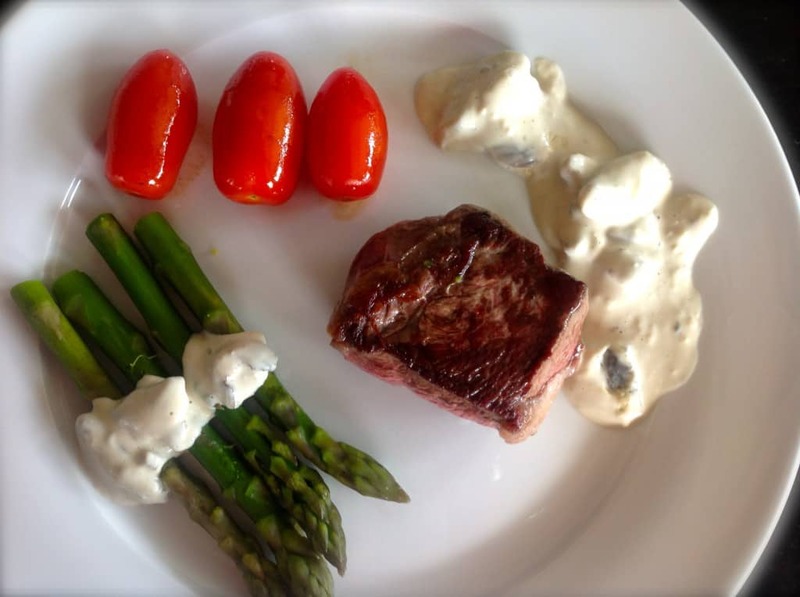 Steak With Low Carb Mushroom Sauce - simple fast food, LCHF style! There is nothing better than a simple steak with low-carb mushroom sauce. This creamy indulgent low-carb mushroom sauce can be used for a variety of meal, so keep this recipe on hand, print it out or memorise it. Whatever you do, make it. You will be fighting over the leftovers (if there are any). Boy, do I love steak. I like it medium rare, and it fairly simple. 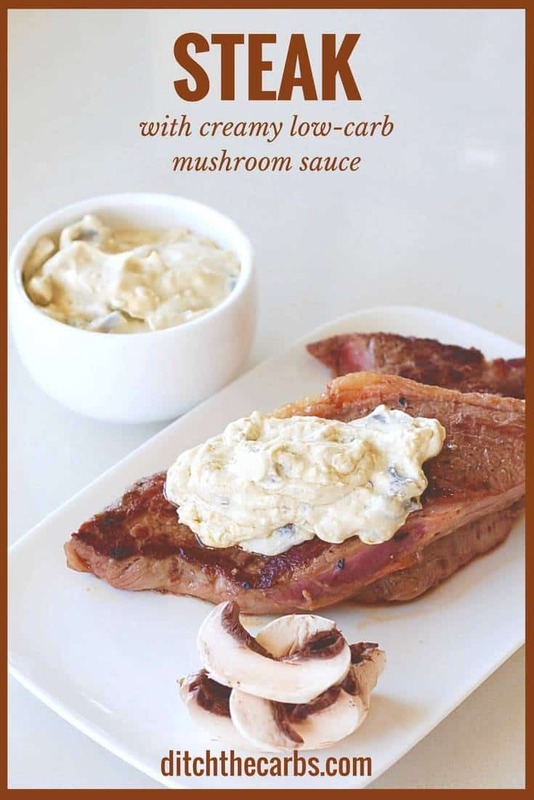 Generally I slice a chunk of blue cheese and pop it on top as soon as the steak comes out the frying pan, but if I have a few more minutes, I whip up this simple low-carb mushroom sauce. To have steak with low-carb mushroom sauce, is pretty much heaven. To cook my steak, I season both sides with salt and pepper, set the timer and cook at a high heat for 2 minutes each side (you may vary the time depending on thickness of your steak). If you can make enough of the sauce, it is incredible when poured over the vegetables. The sauce can also be used cold as a mushroom dip with Fat Head crackers. You know by now my motto is “Real Food, Real Easy” and what can be more simple than a steak cooked to perfection. Buy a bag of salad and you can have the most amazing meal ready in minutes. Now that’s what I call fast food LCHF style. Leave a comment with your favourite low-carb fast food. Low carb is great especially for diabetics; however, diabetics are at big risk for cardio vascular and heart problems. Those problems require the consumption of less fat, especially saturated fat. 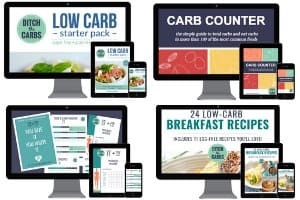 Do you have any ideas for low carb and low fat sauces? In addition, I did not see a portion size under the Nutrition Facts section. Yes those with diabetes (T1 and T2) are at more risk for heart disease because of the inflammation and vascular events that occur through chronic high blood sugars, not through the consumption of fat. Even the World Heart Federation president says fats are protective, carbs are harmful, you can read more here. You may also want to read the cholesterol myth too. There is so much old and outdated science out there yet the guidelines havent changed. What is considered a serving for this sauce? I made this mushroom sauce tonight… devine! I doubled the amount of mushrooms as I love mushrooms, will definitely make again. Sauté mushrooms in butter, add Worcestershire sauce and sour cream. Heat until warm serve on steak. Incredibly easy and delicious mushroom sauce. I’ve been missing sauce/gravy on my steak quite a bit and have been substituting by topping a fried egg on top instead. This sauce is a great alternative and is almost as quick and easy as frying the egg. Plus you have extra to go in the fridge for more uses. I used thickened cream instead of double cream since it’s cheaper and doesn’t go off anywhere near as quickly. I’ve found little difference in flavour between the two types of cream so I usually go with the thickened. Double cream is the same a heavy cream or whipping cream.